The Power of Appreciative Inquiry describes the wildly popular approach to organizational change that dramatically improves performance by engaging people to study, discuss, and build upon what’s working, rather than trying to fix what’s not. Whitney and Trosten-Bloom provide a menu of eight results-oriented approaches to AI, along with case examples from a wide range of organizations to illustrate Appreciative Inquiry in action. 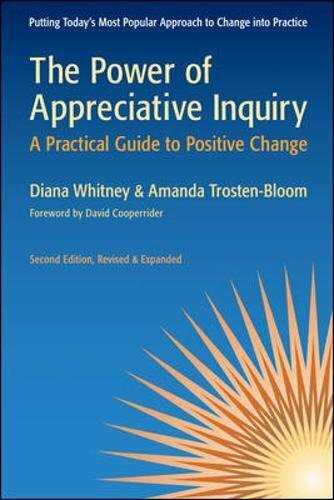 A how-to book, this is the most authoritative and accessible guide to the newest ideas and practices in the field of Appreciative Inquiry since its inception in 1985. 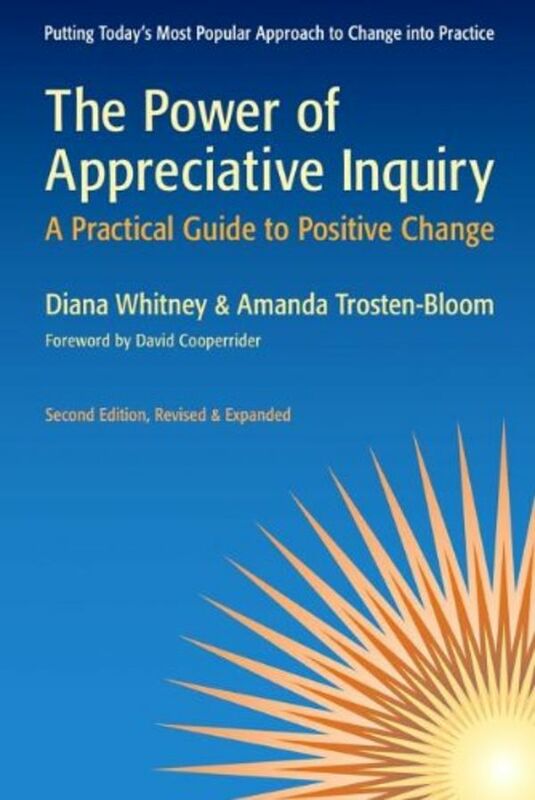 To write the second edition, Whitney and Trosten-Bloom conducted an appreciative inquiry with first edition readers. At the urging of these readers, this edition includes a totally new chapter on community applications of Appreciative Inquiry, along with new examples, tools, and tips for using AI to create an enduring capacity for positive change.